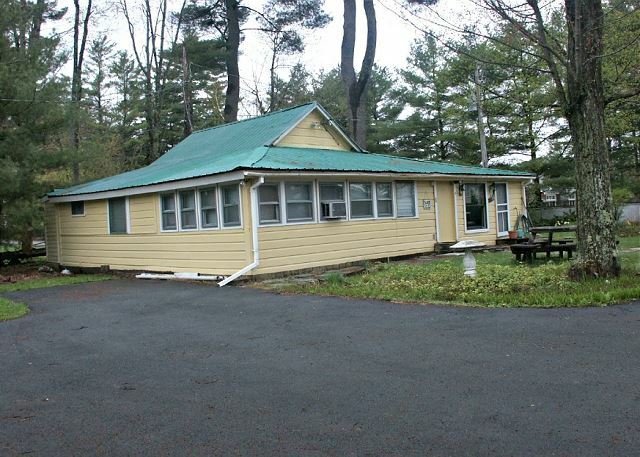 “Eagle Bay Retreat” (95 Leamy Road) is a rustic, comfortable and very private seasonal 2 bedroom 1 Bath lake house on the west shore of Lake Bomoseen. Pet friendly with additional fees. This 3 Bedroom Log cabin located on Lake Hortonia in Hubbardton, Vt is the perfect getaway. Features 3 bedrooms, full kitchen. Very Private. A 4 bedroom, 4 bath single family home located in the Hawk Mountain community, just a short 8 mile drive from Okemo. 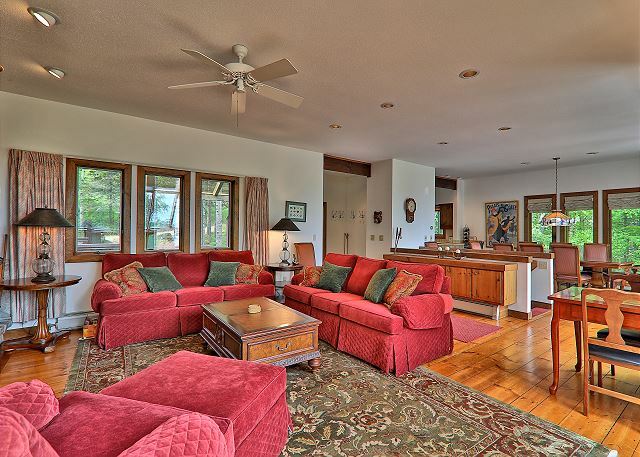 Beautifully decorated throughout, this home features wooded views and a private sauna. A 4 bedroom, 3.5 bath single family home located in the Hawk Mountain community, just a short 8 mile drive from Okemo. This home features large decks and wooded views. 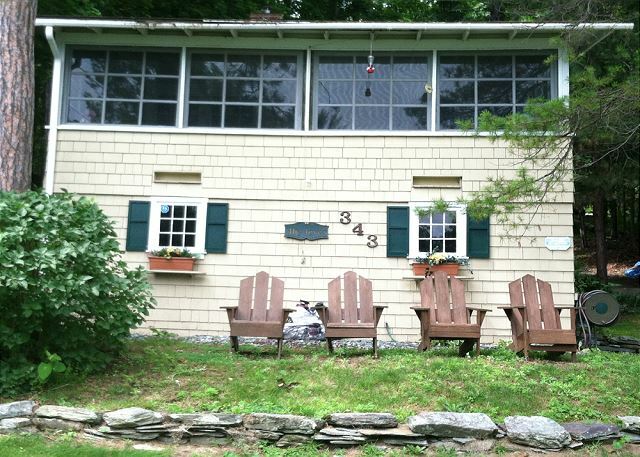 A 4 bedroom, 4-1/2 bath single family home located in the Hawk Mountain community, just a short 8 mile drive from Okemo. Beautifully decorated throughout, this home features wooded views and central air (on 1st & 2nd floors only). Click for "Availability & Rates"
This lovely 3 bedroom cottage is located on the west shore of Lake Bomoseen. Very nice lake frontage across little used private road. The property is spacious, with room for children to play outside. This well maintained, three bedroom log cabin style home located on a quiet road, sits directly on the water, and offers great views of the West side of the lake (including sunsets!) The dock can accommodate a 21 foot boat & the swimming is excellent. This clean, centrally located house on Lake Bomoseen features a fantastic dock for boat up to 18 ft. max., fire pit, and panoramic views of the lake. Well maintained, clean, with modern amenities, this house books quickly. A beautiful 3 bedroom, 3.5 bath lake view home with private hot tub and deeded lake access is a perfect combination of ski and lake access. 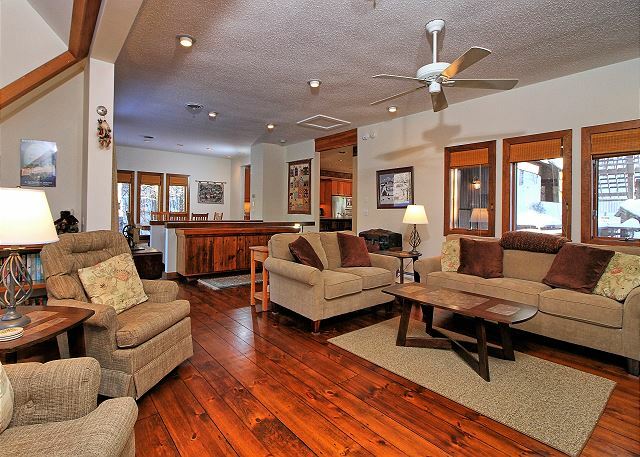 Approximately 10 minute drive to Okemo Mountain Resort, and a short walk to deeded lake access. A four bedroom lakefront home on Lake Rescue. Great location for any season with direct lake access (with private dock) and only 3.5 miles from Okemo Resort's Jackson Gore Base area. A 2 bedroom unit in the Ledges at Hawk Mountain. Close to both Okemo & Killington. Just off Rt. 100 in Plymouth. Near by Lakes include Amherst, Echo, Rescue & Round Pond. This 2 Bedroom cottage can be rented individually or with one of the other 2 cottages on property. 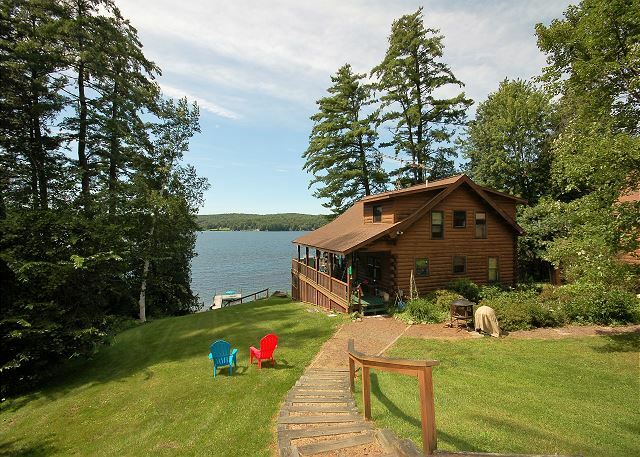 Located on Beautiful Lake St. Catherine, this cottage provides easy lake access.